"Cette musique s'écoute comme un vent d'été venu calmer les ardeurs d'un soleil trop ardent." "I always thought Sakamoto's music was influenced by French composers. 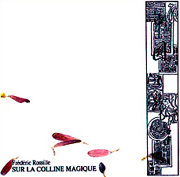 Frederic Rossille is a French composer who returns the favor." The musics of this album are essentially instrumental variations on a theme that was initially composed in 1988 for a theatrical adaptation of the novel by Marguerite Yourcenar "Memoires d'Hadrien". Following a stay in Roma in spring 1999, the composer decided to use again this theme as main material of a new piece. The title "Villa Adriana" refers to the great house which was constructed by emperor Hadrien in Tivoli and from which we can visit today the charming remains. 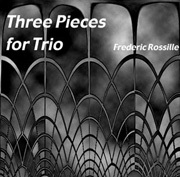 Frederic Rossille is publishing very interesting recordings of his compositions. He works with instrumental music, but constructed with electronic sounds in computer. He has a traditional harmony language, but with a special taste because his discours sounds as a new-minimalism. 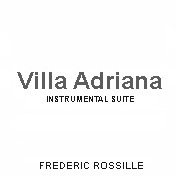 Parue en l'an 2000 sous le titre de "Villa Adriana", la musique instrumentale contenue sur ce mini-CD et inspiree de la nouvelle de Marguerite YOURCENAR intitulee "Memoires d'Hadrien" peut s'apparenter a un melange reussi de musique classique contemporaine, de piano solo a la SATIE, de musiques electroniques ainsi que de jazz-rock leger.